I have been there so many times because I love (absolutely in love) with one of their dish. 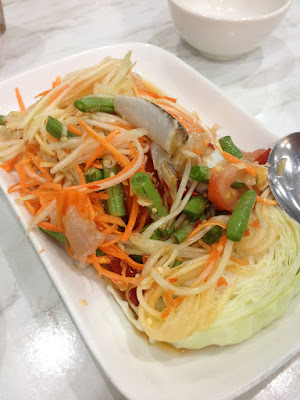 It's their Raw Crab Papaya Salad. I can seriously eat this everyday. I know it sounds weird because it's Raw Crab, but if you love the seafood and like the taste of the seafood fresh, you will like this. The salad is the most appetising dish because it is salty, sour, spicy, sweet and a lil seafoody taste! Mad love this dish. The papaya is crunchy and fresh too. I like it medium hot although it might be quite spicy for some people. If you wanna try this dish and you can take chilli heat, order medium. Or else.. mild will be good. 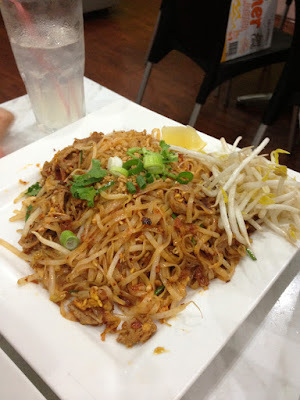 My second favourite dish is Phat Thai. Huge plate of Phat Thai to share. Generous serving and delicious! Noodle cooked just right, not too oily. 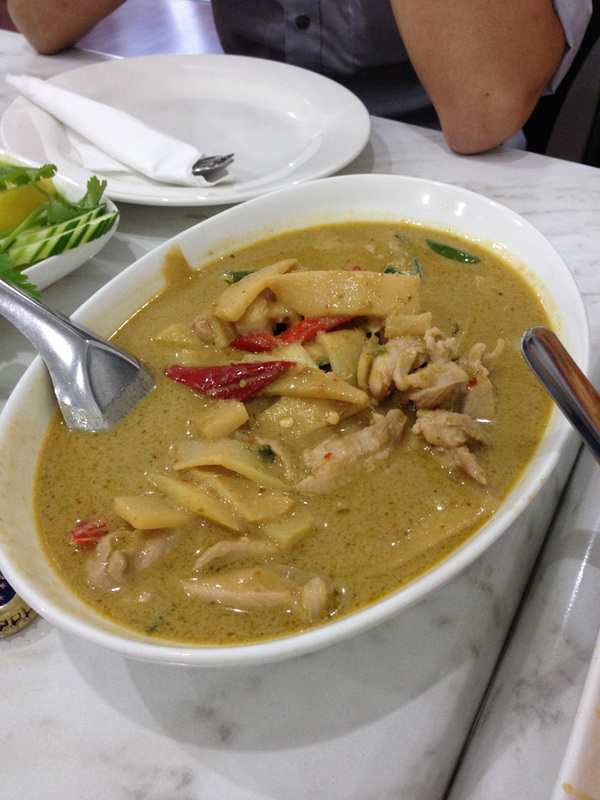 Third would be the green curry. Haha nothing special, but it goes really well with the rice hehe creamy and tasty. 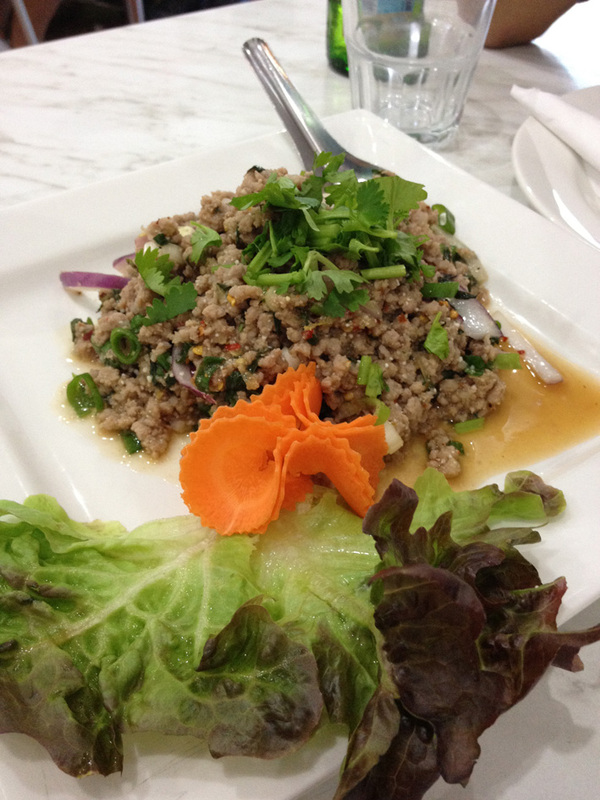 Now, Joe's favourite dish in S & T is the Pork Larb. I like it too because it's not too heavy. 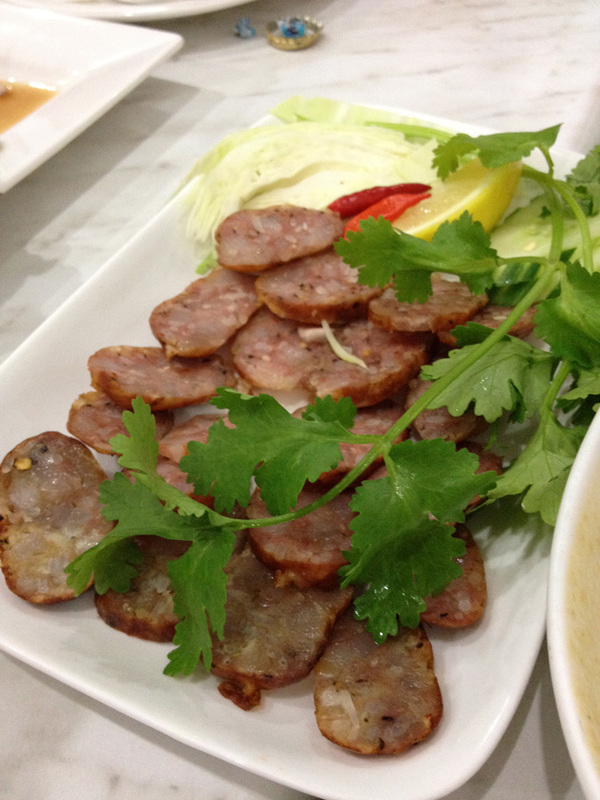 Meat mixed with some coriander and onions toss with some sour sauce to balance up the flavour of the dish! These are a must for Joe and I when we go there. :P But we are slowly trying new dishes every time we go there for dinner. A good dinner place to go to for good food and good price.